Fans of animal prints, this one is for you. 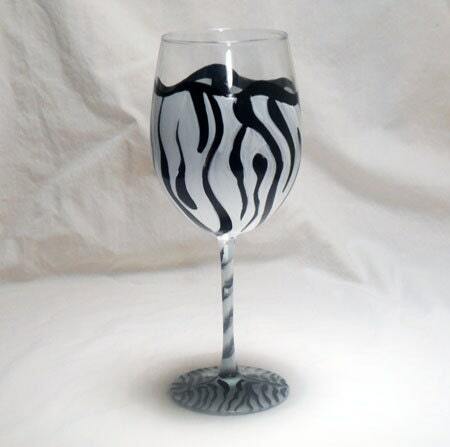 Very chic Zebra print wine glass. Fun and elegant at the same time. 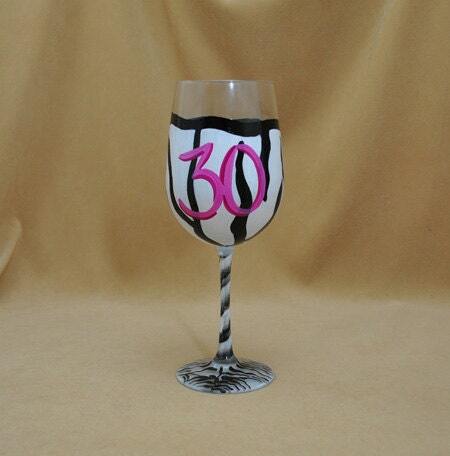 Please let us know if you would like your glass personalized in some way.